Photographs, reproductions of your favorite pieces, digital illustrations and more! Print yours at Opus. Read on to find out how to prepare your file and place your order at your preferred Opus Store. The Opus Digital Printing Service will reproduce your work on our selection of fine art digital canvas and art papers, ready to be framed and displayed. Perfect for taking your treasured photos from the computer to their rightful place on your wall or mantle to be enjoyed for years to come. Make outstanding reproductions of your original artwork, ideal for gifts or for sale. You can even take your giclée print home and personalize it further with mixed media techniques. 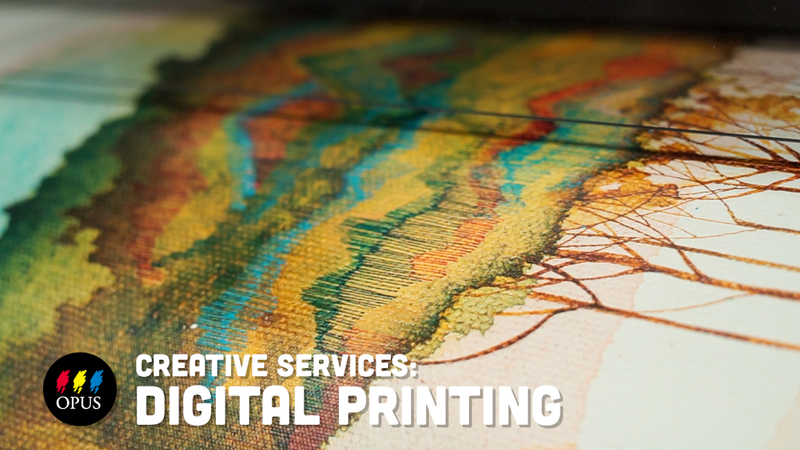 We also offer a professional Opus Digital Print Mounting Service. Your Opus Digital Print on fine art digital paper can be mounted onto Opus Aluminum Composite Panels (with optional float mount system), Facemounted with Clear 3mm or 6mm Acrylic, Acid-Free Foamboard, or Rynoboard. The Opus Digital Printing Service is available at our six stores throughout BC: Downtown Vancouver, Granville Island, North Vancouver, Langley, Kelowna and Victoria, and offers professional-quality reproductions, printed and finished right here in British Columbia. Prepare your digital file (our guidelines can be found at setting up your file for digital printing) and bring it in to the Digital Printing department at Opus Coquitlam, Downtown Vancouver, Granville Island, North Vancouver, Langley, Kelowna and Victoria during business hours.